If you're searching Instagram using hashtags for a good #plasticsurgeon, you may end up with a #plasticsurgerydisaster performed by a hair stylist, a barber or an ER doc offering cosmetic surgery on the side. More than four of five top Instagram posts with plastic surgery-related hashtags come from providers who aren't eligible for membership in the American Society for Aesthetic Plastic Surgery, the premier professional organization for cosmetic surgery, a new study found. About 26 percent of top Instagram posts about plastic surgery come from physicians in other specialties, such as gynecologists, dermatologists, general surgeons, family doctors, ear-nose-throat doctors, and -- in one case -- an ER doc, researchers found. Even though they were not specially trained in plastic surgery, all these physicians marketed themselves as "cosmetic surgeons," the study showed. Even worse, more than 5 percent of posts were from non-physicians doing plastic surgery at dentist offices, spas and hair salons. The consequences of using a poorly trained plastic surgery provider can be much more dire than a bad tummy tuck or ugly scar, said senior researcher Dr. Clark Schierle, director of aesthetic surgery at Northwestern Medicine in Chicago. A Georgia doctor specializing in emergency medicine faced felony murder charges last year after two patients died during botched liposuction procedures she performed at her Cobb County cosmetic surgery clinic, Schierle said. The doctor lost her license to practice medicine in Georgia, but prosecutors decided to drop the charges, a published report said. And in August, a 31-year-old New York City mother of two died from enhancement injections to her buttocks that she received in a residential apartment building, according to a published report. "It's kind of like the wild west out there. Cosmetic surgery is really unregulated," said Dr. Clyde Ishii, president of the American Society for Aesthetic Plastic Surgery. "Consumers have to understand that cosmetic surgery is real surgery, with real complications." Schierle and his colleagues decided to investigate Instagram posts because "it is a uniquely visual social media channel, and plastic surgery is a uniquely visual medical specialty," he said. They reviewed more than 1.7 million Instagram posts to find popular posts associated with 21 plastic surgery-related hashtags. These included #plasticsurgery, #facelift, #cosmeticsurgery, #breastlift, #boobjob, #rhinoplasty, #brazilianbuttlift, #tummytuck and #liposuction. The researchers collected the nine most popular posts for each hashtag, and checked the source for each post. Two-thirds of the top posts promoted the person's cosmetic surgery practice, as opposed to educating the public about plastic surgery, the researchers found. However, board-certified plastic surgeons were nearly twice as likely to use Instagram to post educational content rather than self-promotion. The problem is that medicine is largely unregulated, and someone with a medical license is considered under the law capable of performing just about any procedure, Schierle said. Doctors hoping to make a little extra money on the side can take some training in cosmetic surgery procedures and hang their shingle, Schierle said. These doctors won't be able to get board certification in plastic surgery. But they can say they're board-certified because they have been certified by the board governing their own specialty, he said. "An internist could perform brain surgery in the eyes of the law," Schierle said. "That doesn't mean it's a good idea." Barbers and hair stylists can legally promote plastic surgery, but they would be breaking the law if they used a knife or needle on someone, Schierle continued. It's likely these places are doing a "bait and switch," seeming to offer plastic surgery services but actually steering incoming clients to other alternatives, Schierle said. For example, they might sell the person a garment that makes them sweat or offer an ostensibly fat-burning massage. People considering cosmetic surgery need to take it more seriously, and do their homework, Ishii said. "A lot of people view cosmetic surgery as frivolous and harmless," Ishii said. "Because it's treated lightly on social media, they don't give it the respect it's due." Before undergoing a procedure, ask your provider if he or she is credentialed to perform that procedure in a hospital, Ishii said. Hospitals have very stringent credentialing standards. You also should ask whether the person is board-certified specifically in plastic surgery, and whether their board is recognized by the American Board of Medical Specialties, Ishii added. The ABMS is the United States' governing body for credentialing medical professionals. Some alternative boards have popped up that will provide doctors with credentials for "cosmetic surgery," but these boards are not recognized by the ABMS, Ishii said. 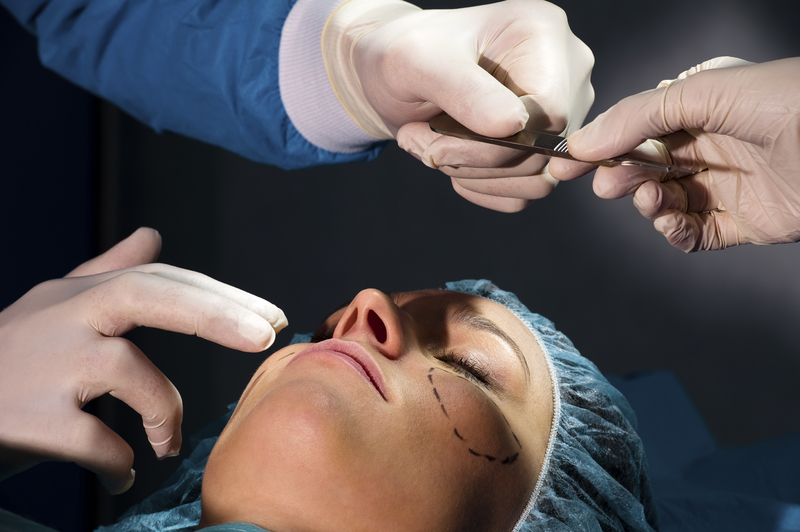 A board-certified plastic surgeon has more than six years of surgical training and experience, with at least three years specifically in plastic surgery, the researchers said. A practitioner referring to herself or himself as a cosmetic surgeon could belong to any medical specialty, and may have received training that varies from a one-year cosmetic surgery fellowship to a handful of short weekend courses on liposuction, injectables or breast implants. The study was published Aug. 30 in the Aesthetic Surgery Journal.